Floral Chandelier, originally uploaded by Vidaflores. 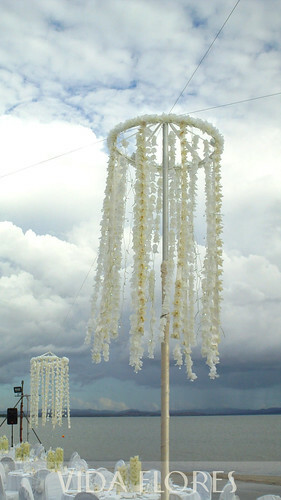 A close up of the gorgeous floral chandeleirs. There were five of these, taking 3 days to make.